A quiet week, tourney-wise, meant zero changes among the top 10 and in fact no movement at all among the top 40 in the 2014 Global Poker Index Player of the Year race. This marks the ninth straight week Dan Smith has led the GPI POY standings, with Daniel Colman now remaining just a few points back — a gap easily closed with a single small cash. Smith likewise remains atop the overall GPI rankings, the 10th-straight week he’s done so, with a few small moves finding Jason Mercier sneak ahead one spot into second position. Meanwhile Stephen Chidwick nudged back into the top 10, claiming a spot vacated by Jacob Schindler who fell from No. 10 to No. 15. After last week’s mass movement seeing 23 newcomers join the overal Top 300, just nine new names appear in the list this week, most edging into spots at the bottom. Tyler Patterson significantly moved up from No. 304 all the way to No. 201 thanks to a couple of cashes at the recently completed WSOP Circuit Horseshoe Hammond series. And after nearly winning the 2014 World Series of Poker Player of the Year — only falling at the last to George Danzer — Brandon Shack-Harris’s appearance at No. 298 this week marks his career debut inside the GPI Top 300. Patterson’s charge upwards marked the biggest gain of any of this week’s GPI Top 300 players, with Chad Eveslage also advancing up the leaderboard after cashing in an event at the 2014 Isle Open at the Isle Casino Pompano Park in Pompano Beach, Florida. 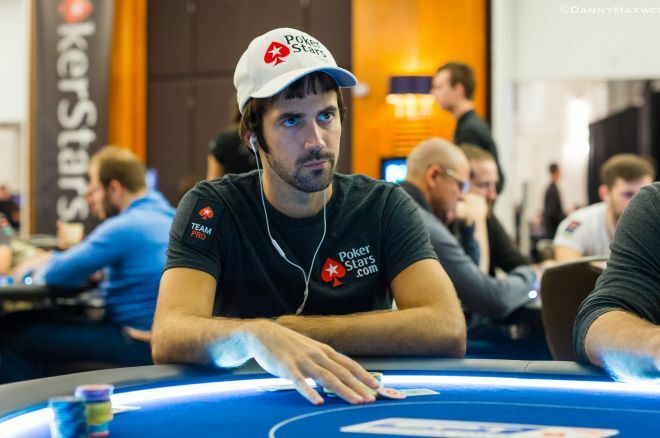 Finally Yann Dion fell the furthest of those remaining within the GPI Top 300 this week, slipping from No. 105 down to No. 184. To view the entire list of 300, visit the official GPI website. While you’re at it, follow the GPI on Twitter and its Facebook page.